Lily Buns plopped down before I could shimmy the sweater past her shoulders. Le sigh. Finished sweater pictures will be on the blog soon! I’ll be at the Harvest Festival in Del Mar selling aprons tomorrow so stop by…it’s Boojiboo’s LAST show of the year! Hahaha!! OMG this is hilariously adorable!!! Bahahaha that is the cutest photo ever! 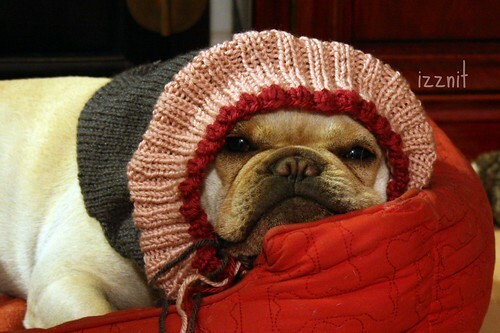 Sweater…bonnet — either way, she is adorable! Hahaha. Adorable. What a cutie.